Here's all the details and drama on everything that transpired before we landed on this very decision to renovate/expand a portion of the bf's family's property. 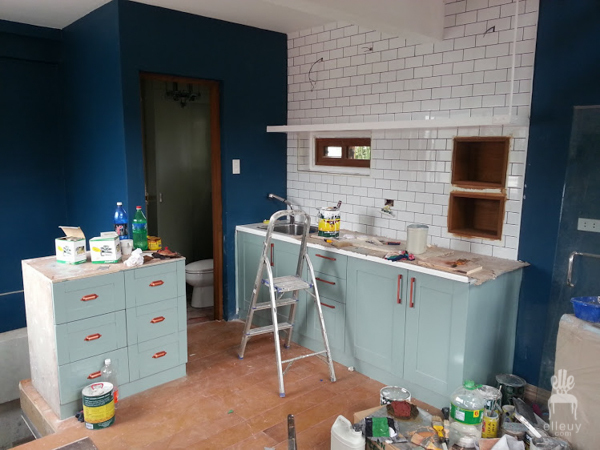 We're set on painting our third floor living space a deep shade of navy. Look at all our inspiration image and on why we decided to go this route. Here's a summary of what went down (and up) on the first month of Tiny House Renovation. We've been quite experimental with our approach to building the Tiny House. Here's the lowdown of all the choices and what we went with. We've wrapped up month two, and here's where were at. Can I say concrete?? You don't need to squint to be able to see a house! 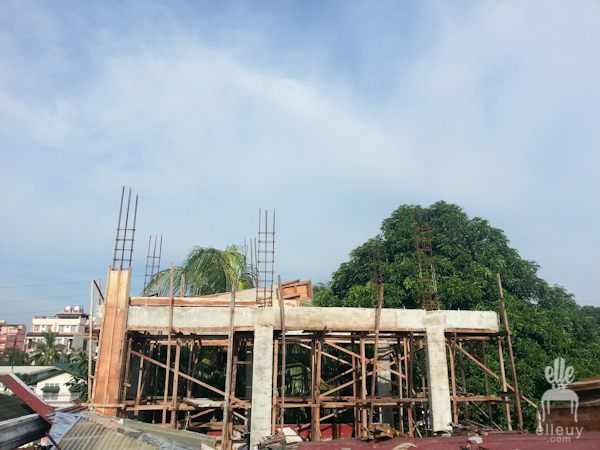 There's roof, and the corrugated metal walls are halfway done. 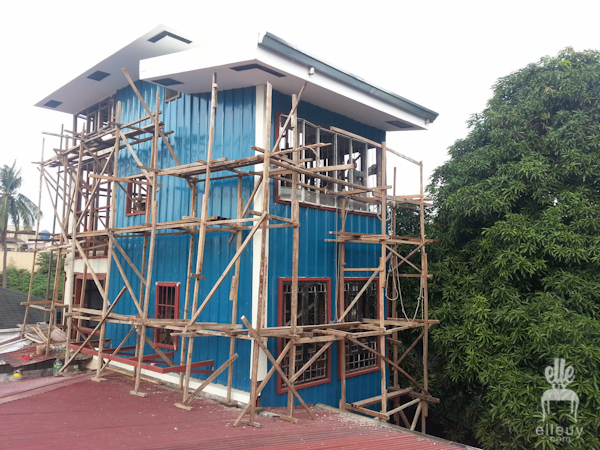 Check out our blue exterior walls. 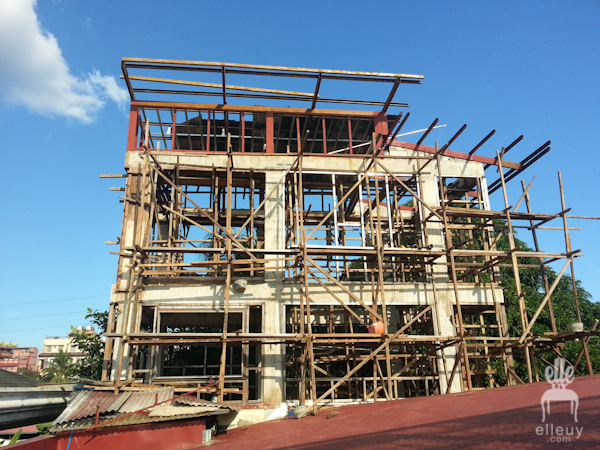 Also shared a little bit of how we're doing the building in terms of contractor / labor / materials. 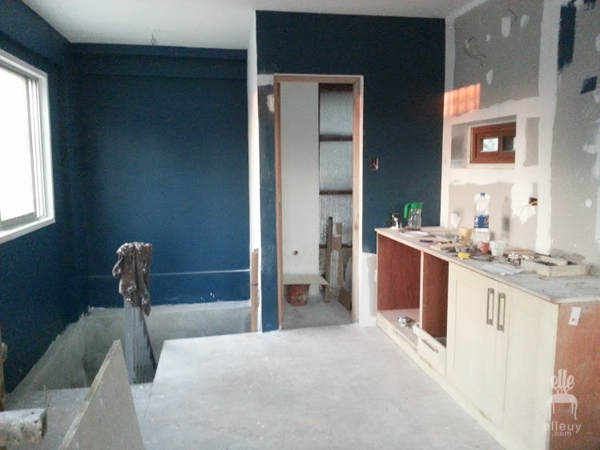 We have interior walls, the loft is almost done, we have stairs, and some navy blue is up on the wall! The loft which is the office will be the first to be done. Check out our plans for the space, and the much controversial pink wall. We're slowly inching towards finishing the 3rd and loft level. Here you'll see tons of photos including our brick wall and fully painted navy walls! 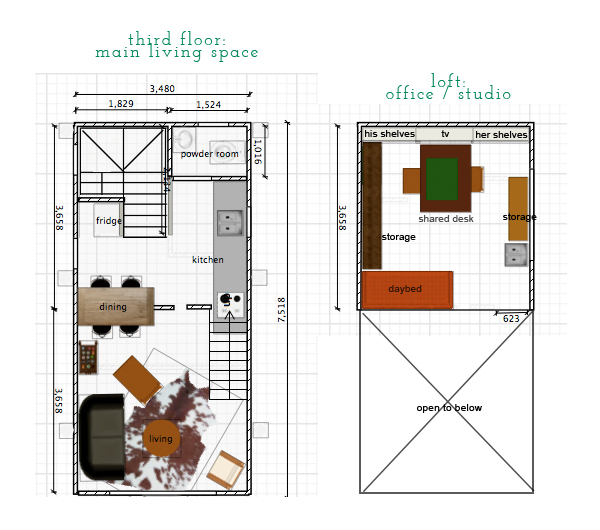 This is quite a detailed post on what we're doing for our small kitchen, layout and design-wise. 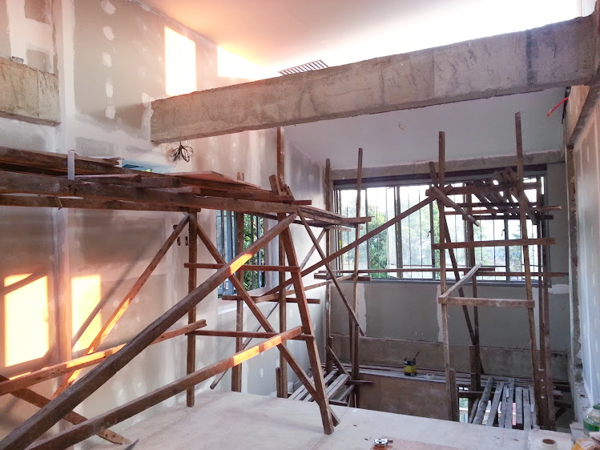 This is the first time I showed you the almost done status of our second floor, which will be the bedroom and dressing area. We picked out creamy white for the walls, and installed arch and molding to achieve a somewhat parisian feel. After the construction comes the fun part, decorating! Most of our furniture isn't new, we love repurposing and purchasing vintage. 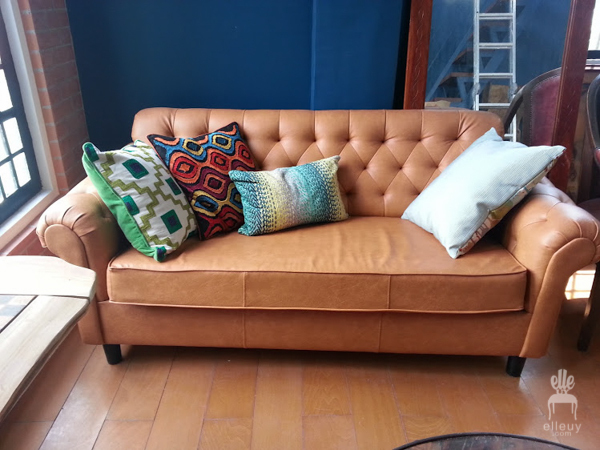 This one was a hand me down that we had reupholstered to better fit our style. This is how we decorated our stairway using a prop at our wedding, old frames, and family photos. 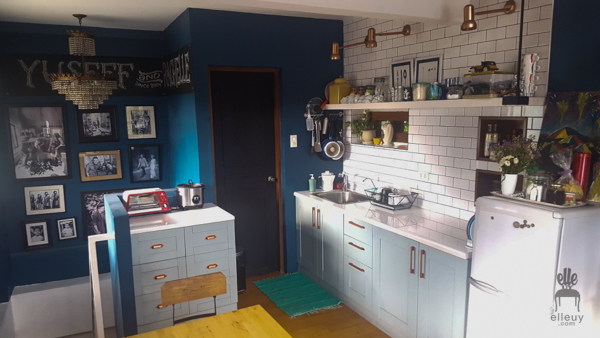 After one year without updates on what happened to the Tiny House, here are tons of photos of what our Third floor (Main living space) looks like.